Seven Western states that rely on the Colorado River Basin for valuable water are drawing more heavily from groundwater supplies than previously believed, a new study finds, the latest indication that an historic drought is threatening the region’s future access to water. In the past nine years, the basin — which covers Wyoming, Colorado, Utah, New Mexico, Nevada, Arizona and California — has lost about 65 cubic kilometers of fresh water, nearly double the volume of the country’s largest reservoir, Lake Mead. That figure surprised the study’s authors, who used data from a NASA weather satellite to investigate groundwater supplies. About two-thirds of the water lost over the past nine years came from underground water supplies, rather than surface water. “We were shocked to see how much water was actually depleted underground,” Stephanie Castle, a water specialist at the University of California at Irvine and lead author of the report, said in an interview. 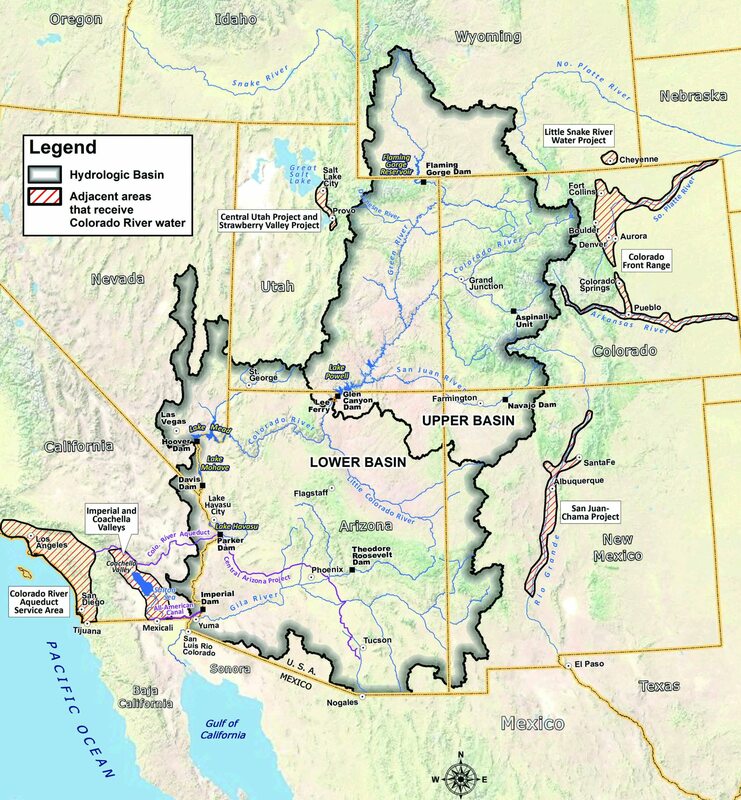 While surface water in the Colorado River Basin is closely regulated by the U.S. Bureau of Reclamation, states are left to regulate groundwater on their own. Some states, like California, have no groundwater management rules; others, like Arizona, have gone so far as to transfer surface water from the Colorado River into underground aquifers for later use. The Bureau of Reclamation allocates water in strict proportions to each of the seven states within the basin, where 40 million people rely on the Colorado River. Those allocations have gotten smaller as drought has swept the West over the past 14 years. Lake Mead is at its lowest level since it was created, after construction of the Hoover Dam in the 1930s, leaving a “bathtub ring” around the lake. Most years, every drop of water is pumped out of the Colorado River before it empties into the Gulf of California. But what surprised scientists was how much groundwater had been making up the difference. More than three quarters of the water lost over the past decade came from underground. Groundwater doesn’t replenish as quickly as surface water, which comes from rain and snow, and the heavier-than-expected usage is straining already limited resources. Scientists at U.C.-Irvine, the California Institute of Technology, the National Center for Atmospheric Research and NASA observed surface and groundwater levels using the Gravity Recovery and Climate Experiment satellite. The authors conclude federal officials allocated 30 percent more water from the Colorado River than was actually available. The gaps were made up by groundwater. Across Western states, the farmers and urban areas that rely on groundwater are already seeing declining water tables, an indication that supply is running low. And while federal officials work to keep water levels high enough at reservoirs like Lake Mead and Lake Powell, in Arizona, to generate power, there is no similar strategy in place to husband groundwater supplies. Climate change and pressures wrought by booming populations in cities like Denver, Phoenix, Los Angeles and San Diego will only stress water supplies more in the coming decades, the study concluded. Those stresses will mean reservoir storage won’t be enough to quench the region’s thirst, putting even more pressure on underground supplies. The report will be published in a forthcoming issue of Geophysical Research Letters, the journal of the American Geophysical Union.